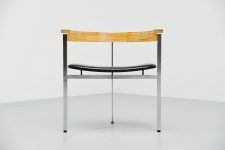 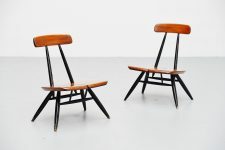 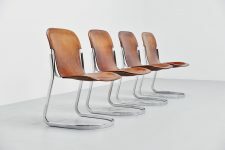 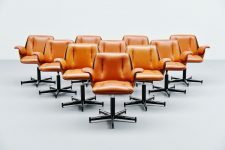 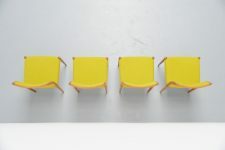 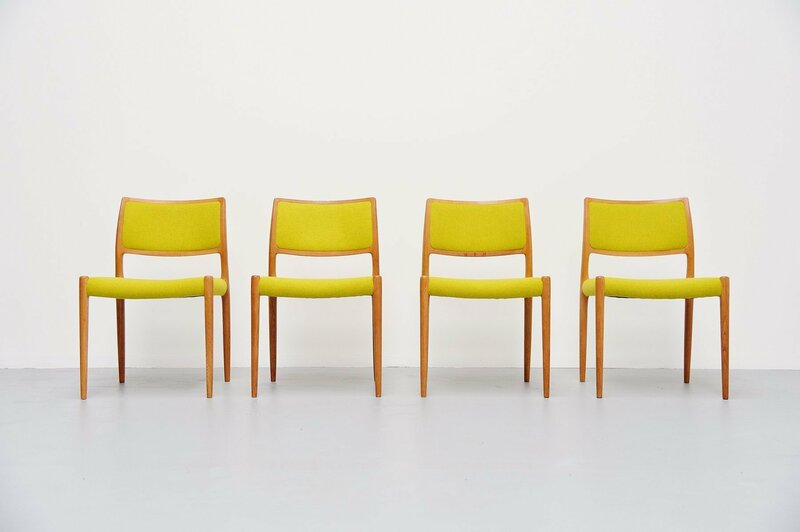 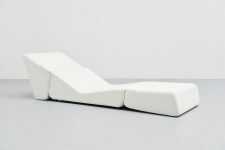 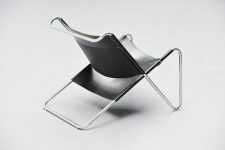 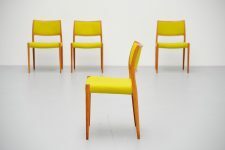 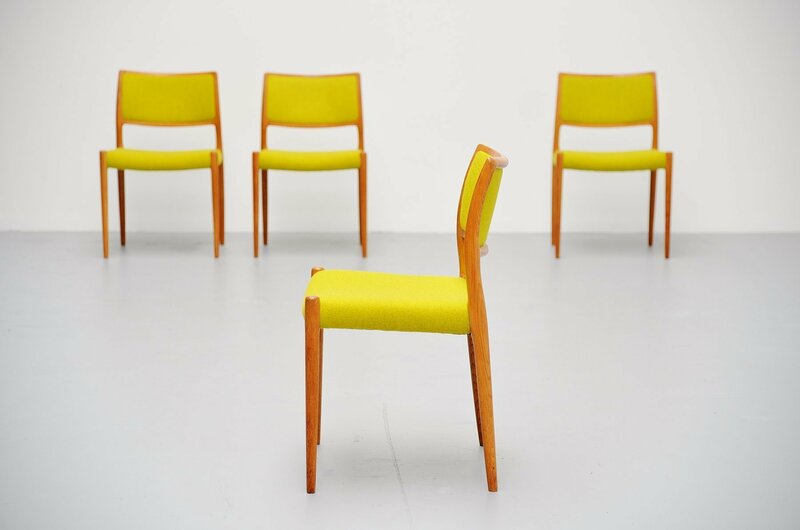 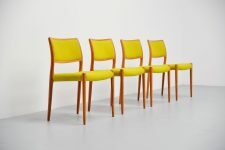 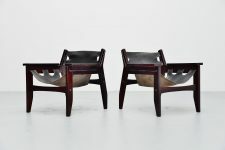 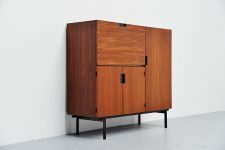 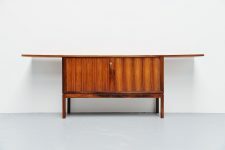 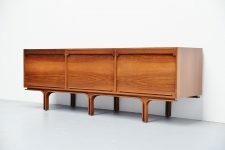 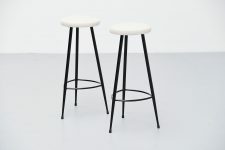 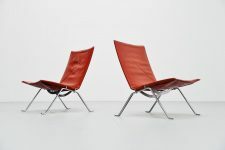 Set of 4 dining chairs model 80 designed by Niels Moller for J.L Møllers møbelfabrik, Denmark 1968. 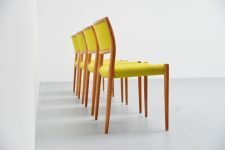 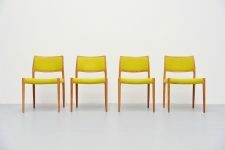 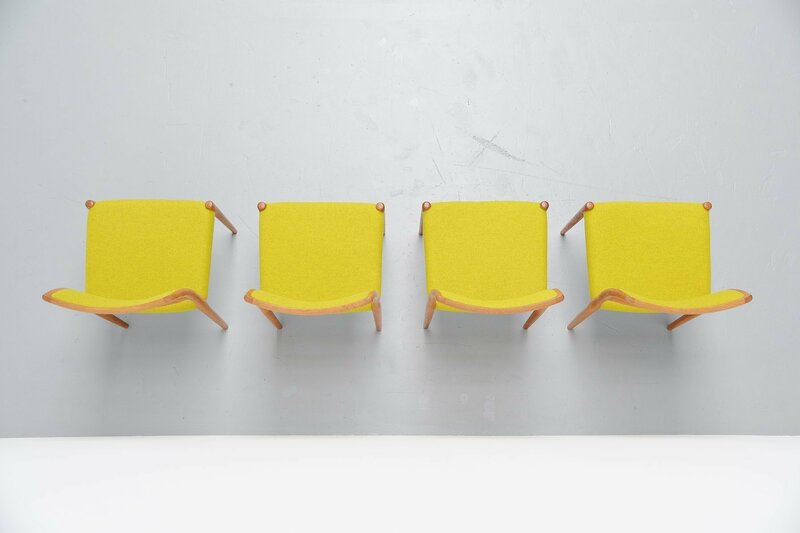 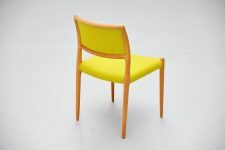 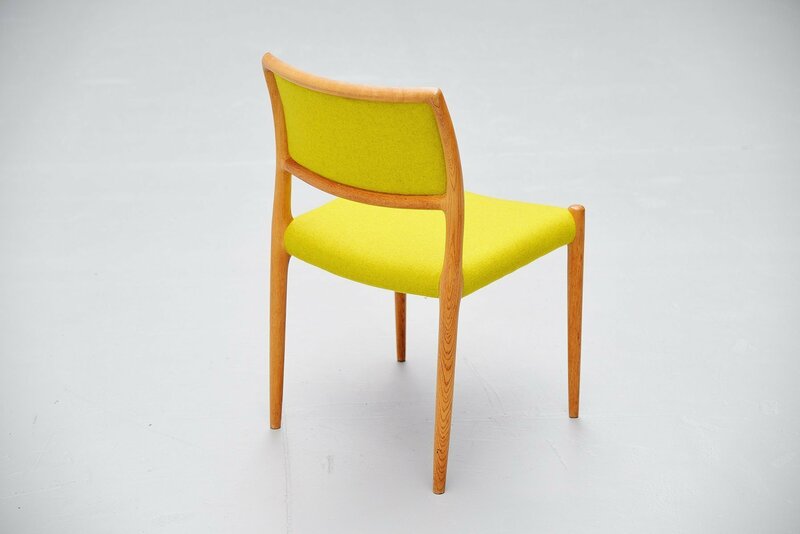 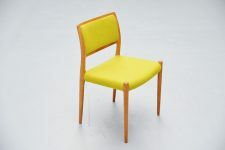 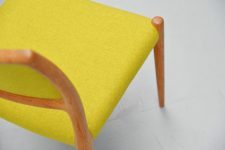 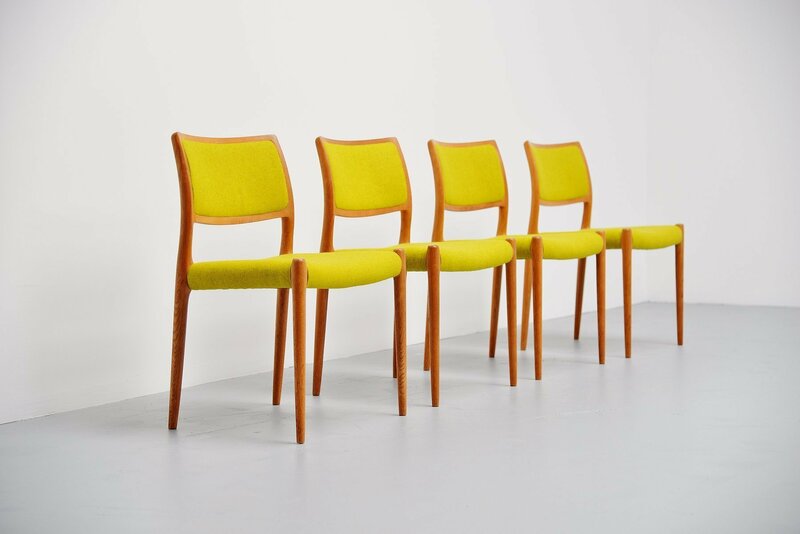 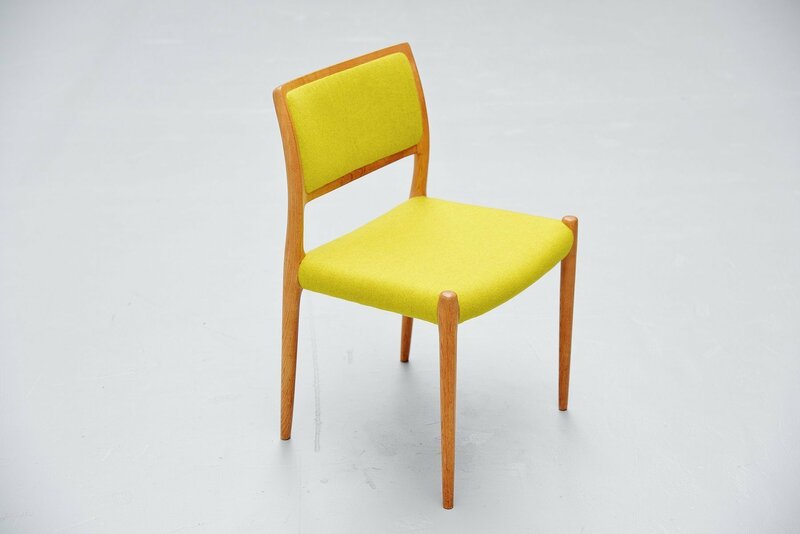 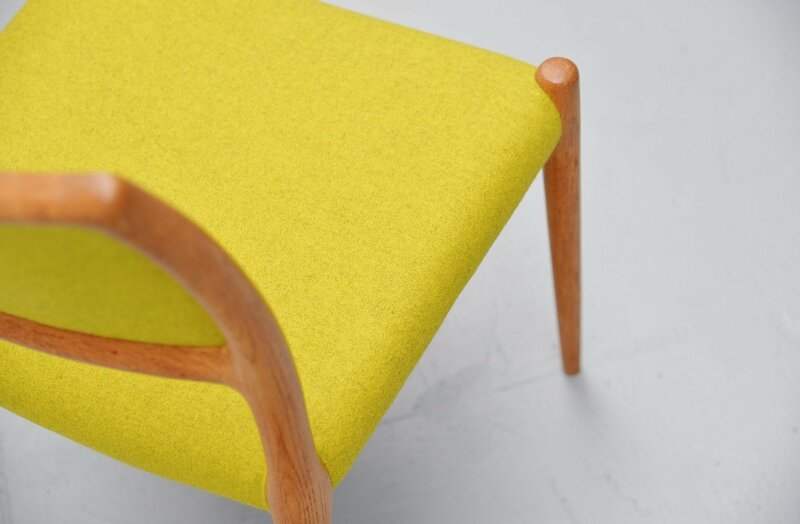 These chairs are made of solid oak which is in excellent original condition and they are newly upholstered in lime green Divina fabric by Kvradrat. 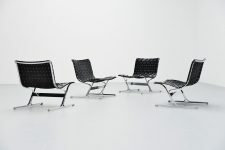 The chairs seat very comfortable again. 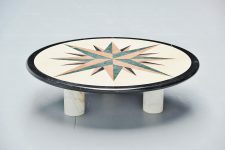 All are marked underneath.